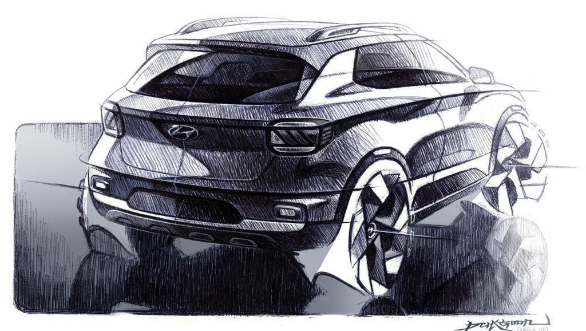 In the build-up to the unveiling of the 2019 Hyundai Venue, Hyundai India has released a few design sketches of the upcoming compact SUV. 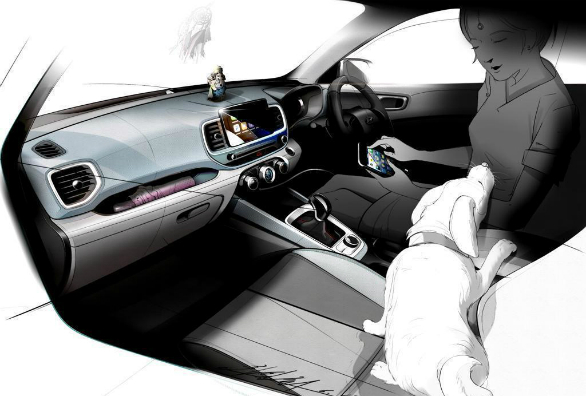 The sketches show the basic form of the car and as these things usually do, highlight its various design elements. The Venue's various design elements like the large honeycomb grille, the split headlamps, and the slightly stocky, short wheelbase look have been highlighted. The production-spec car will probably not have too many cuts and creases but this sketch comes with loads of those to highlight the few surfaces and character lines that may stand out in the Venue. The interiors of the Venue will also see a few bits previously unseen on Hyundais here. While the steering wheel and instrumentation seem like a regular Hyundai fare, unique is the new centre console arrangement. New here is the layout of the infotainment and the climate control knobs with integrated displays. 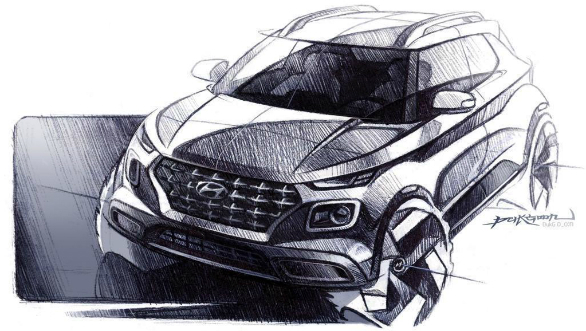 The Venue is expected to be powered by a new 1.0 litre T-GDi turbo-petrol producing 120PS and 117Nm, which will most likely be made by Hyundai India locally. Accompanying the turbo-petrol could be Hyundai's naturally-aspirated 1.2 litre Kappa petrol, that produces 84PS and 117Nm. Diesel variants could be powered by the 1.4 litre U2 CRDi motor that produces 90PS of power and 224Nm of torque.